Charles Fraser-Smith's name is linked with the British Intelligence Service during the Second World War. He lived for many years in Croxley Green. He was appointed to the Ministry of Supply in London as a junior civil servant in the clothing section. This was actually a cover for the real work he was involved with - devising everyday items for use by the intelligence agents in MI6 and MI9. Charles spent his early years in Kent. His parents, Edwin James and Caroline Louisa Smith, were married in 1901 at St Andrews Church, Deal, Kent. Edwin had been born in Marylebone, London, and his father (Charles' grandfather) was listed as a solicitor. Caroline's family were well known grocers in Deal and at the time of the marriage Edwin, too, was a grocer in the High Street, Deal. 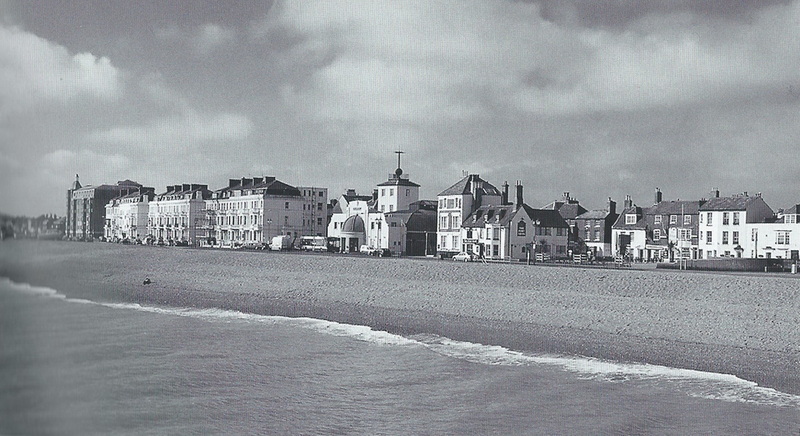 © Deal, Kent where Charles mother was born. Edwin and Caroline moved to nearby Folkestone where Charles Fraser-Smith was born in 1904. Sadly, Edwin died in 1909 and his four children were raised by their Aunt Edith (Edwin’s sister) and Uncle Frank Piper. Edith married Frank Piper in 1910. Uncle Frank was a solicitor whilst Aunt Edith had spent many years as a young girl involved with missionary work. In the early 1900s she was drawn to working with the Children's Special Service Mission in Spain, later to become the Scripture Union. Two of her sisters, also missionaries, had served in North Africa, both dying young in their mid twenties. It is not clear why the children were not brought up with Caroline their mother as the 1911 census reveals that she went to live in Ramsgate as Housekeeper to Dr.Fisk, originally from St Albans, Hertfordshire. The1911 census also reveals Aunt Edith and her husband Frank Piper were both visitors at the home of Edmund Ives 82yrs (widower). The address Barcombe, Nether Street, North Finchley. 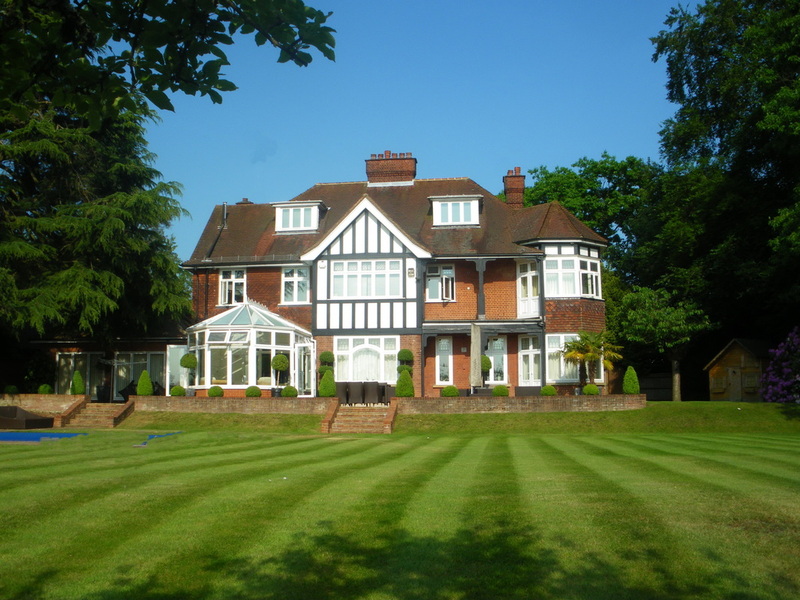 Charles and his brother Alfred were for a short time pupils at The Court House, a private school in North Finchley. 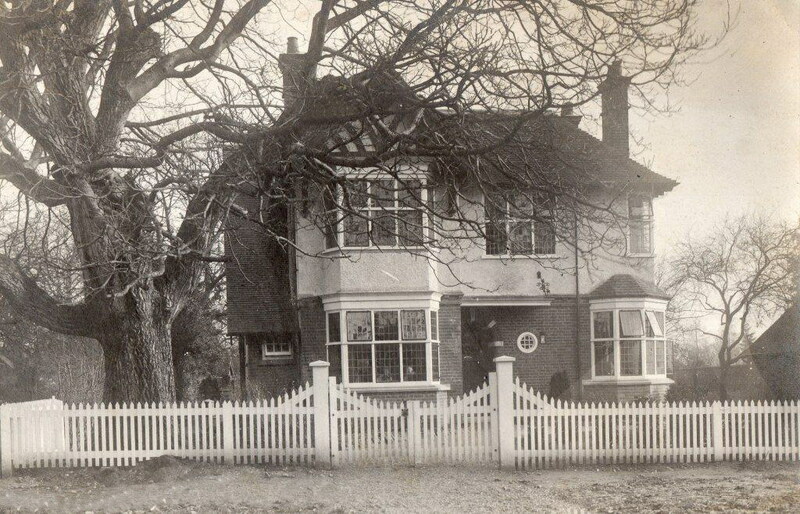 Aunt Edith and Uncle Frank, now officially the guardians of Edwin and Caroline's children, brought the family to live in Barcombe, Copthorne Road, Croxley Green about 1912. This is possibly when the house was first built and the name taken from the North Finchly address? Charles and Alfred attended the Watford Grammar School for Boys. During their school years living in Croxley Green, the children experienced a rural village life with open countryside and farmland. The Metropolitan Railway was still a long way off in its construction and World War One was on the horizon. Charles would cycle to school with his chum Walter George Calvert Carr who lived at Tweedside on The Green. The Tussaud family living in New Road were close friends with the Pipers. During WW1 one of the Tussaud's sons apparently flew a private light aircraft over Barcombe whilst the family were having a meal on the garden terrace, spotted them, flew back, banked and waved to them! 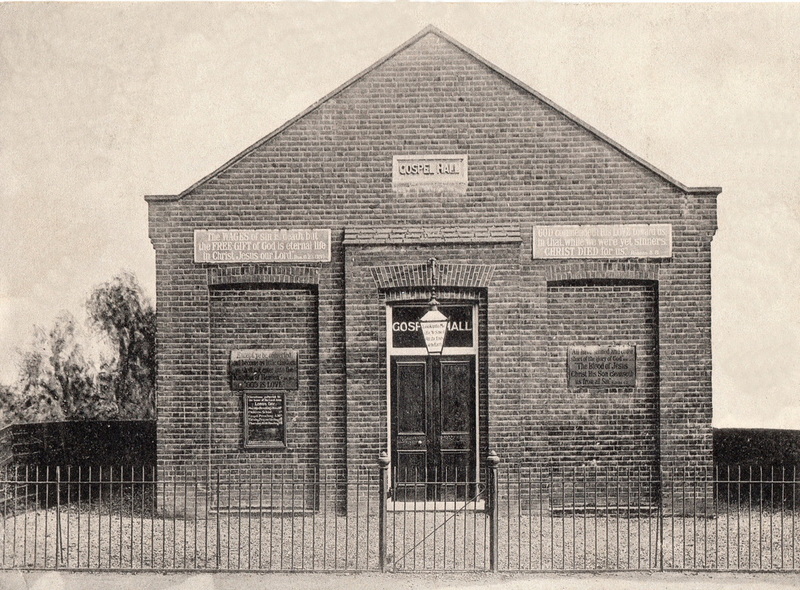 Aunt Edith, having an Open Brethren background, attended the Gospel Hall on Scots Hill whilst Uncle Frank had a Church of England upbringing and was known to have attended with her, as well as the local Methodist and Baptist churches. The children's governess often took them to All Saints Church. After breakfast at Barcombe the family and servants would gather in the study for prayers. Having completed his course Charles eventually went to Morocco in1926, with his friend Bryce Nairn, a trained veterinary surgeon, intending to buy farmland and become pioneering missionaries in Marrakesh. They acquired 250 acres of land in sight of the Atlas Mountains and called the farm Tabahounite. Shipping records show that Charles Fraser Smith accompanied Aunt Edith and Uncle Frank as passengers on a voyage leaving England in 1924 to Morocco. Records also show and Aunt Edith and Uncle Frank went to Tangier in 1927. Both friends soon married, Bryce Nairn in 1928 and Charles in 1930 to Blanche Ellis in her home town Leeds,Yorkshire. Charles and his new wife moved to their new home, Khemisset in Tangier, soon after the honeymoon. It was not long before they had bought 250 acres and registered the land as Sunset Farm with the aim of training local men to become self supporting as farmers, Charles using his skills and background. A farmhouse was eventually built on the site. An opportunity arose in 1936 for Charles and Blanche to look after ten boys in an orphanage seven miles outside of Tangier on the coast, for a period of two years. Sunset Farm was left in the hands of a local man acting as manager. For the two years Charles and Blanche taught the boys how to manage the land and grow vegetables that could be sold to the local English and French community. Eventually they had taken on thirty five boys, making the orphanage self- sufficient. Once this temporary appointment was completed, Charles and Blanche decided they too would like a holiday before returning to their home, Khemisset, in 1939. However, some European countries were now again at war with Germany, and when Italy decided to invade Turkey Charles and Blanche, who now had a young son called Brian, made the decision to return to England as soon as possible. They initially went to live in Harrow and then moved to Blanche's family home in Leeds, Charles having been offered a position with Avro, an aircraft factory at Yeadon nearby. It was at an Open Brethren meeting in Leeds when Charles was giving a talk on his experiences in Morocco, that the director of the Ministry of Supplies (MOS) in Leeds, G. Ritchie Rice, was in the audience as well as Sir George Oliver, Director General of MOS in London. A meeting was immediately set up with Ritchie Rice and after much discussion Charles was offered a job with the MOS in Leeds. Shortly after this the Leeds section with Ritchie Rice and Charles Fraser- Smith moved to the London Headquarters near St James Park and Charles, his wife and son Brian came to live in the family home, Barcombe, Copthorne Road, Croxley Green with Uncle Frank and Aunt Edith who were by now an elderly couple. © Barcombe -the house that Charles lived with Aunt Edith and Uncle Frank. A modern conservatory has been added by the current owners. Charles would travel to London by train using the local Metropolitan line, possibly using the station at Croxley Green (it did not changed to Croxley until 1949) or Rickmansworth. He was obliged to sign the Official Secrets Act, so it was known only to a very few people that he had begun devising and sourcing equipment that would help to save many lives during the Second World War. One of his tasks was sourcing continental styled second-hand clothing, usually from shops and traders selling used attire. Such clothes meant that Briitish agents working abroad could blend in and be less conspicuous whilst involved in espionage work. He also became adept at creating useful equipment that could be hidden inside everyday items. Objects disguised and concealed would become helpful to service personnel such as R.A.F. pilots. Should they find themselves having to bale out over enemy and occupied countries they could use these items to assist them in returning to Britain. 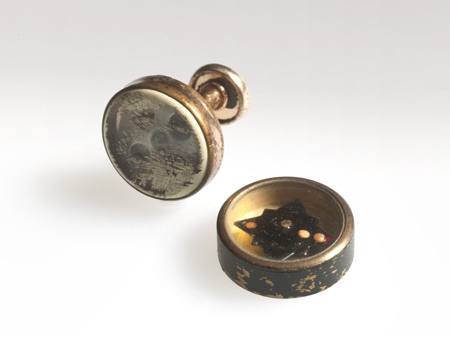 This ingenious way of disguising maps, film for cameras, compasses, as well as dozens of everyday items, in hairbrushes, shaving brushes, pencils, golf balls and several other personal objects would find Charles having to approach many companies to produce and manufacture them in their hundreds whilst unknown to the daily staff. On many occasions the actual bosses or managers would make these gadgets for Charles overnight and the normal daily staff remained completely unaware of this. For example, an ingenious set of Derwent pencils were created by the Cumberland Pencil Company between 1942 -1945 for Charles Fraser-Smith to assist R.A.F. pilots should they be shot down over enemy territory. Once the factory had closed for the night the managers secretly assembled the pencil kits painted green, labelled 101-104 and made to look old. 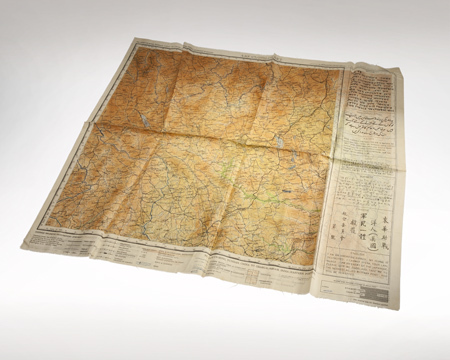 Each coded pencil contained a silk rolled map of Germany or its neighbouring countries in the hollowed centre. 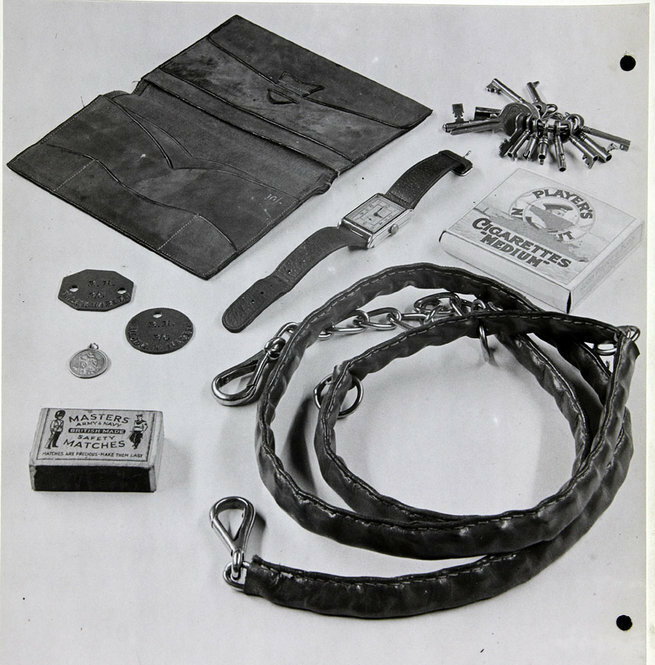 Many of these gadgets would be sent in Red Cross parcels to aid escaping prisoners of war or to agents who potentially could be facing capture. Due to the nature of his work Charles rarely met other personnel in the building and his orders would be conducted by telephone in a sparse office with a desk and two telephones. On one occasion he was asked for a suitable size tin trunk that could preserve a body packed with dry ice. Many years after the war, when the Official Secrets Act was lifted, its purpose became known and the plot became the basis of a book and, later, a film. Based on the true story of a huge deception to dupe and fool the German High Command the book/ film was called 'The Man Who Never Was'. 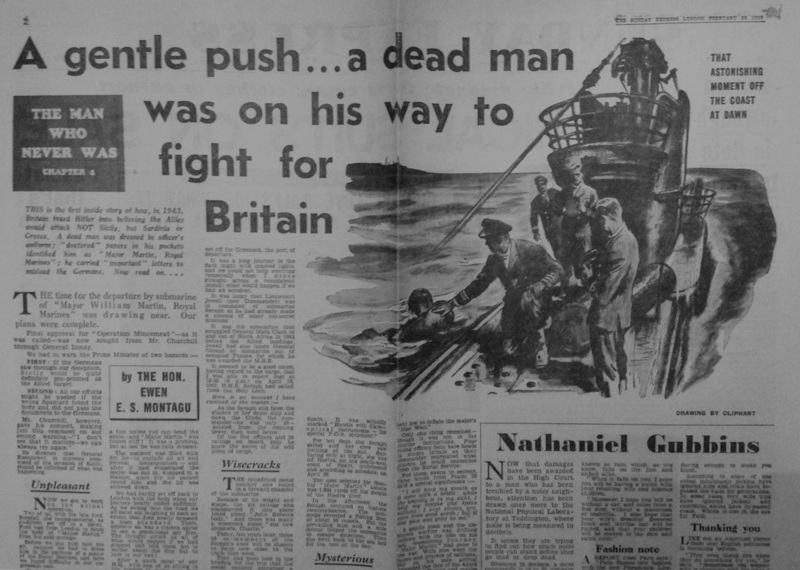 The corpse of a British man in uniform was to be put into the sea off Spain, where currents would cast it up on the shore. Papers left on the body would give details of a plan to invade Sardinia. This was not the true destination. The real invasion was to be Sicily. 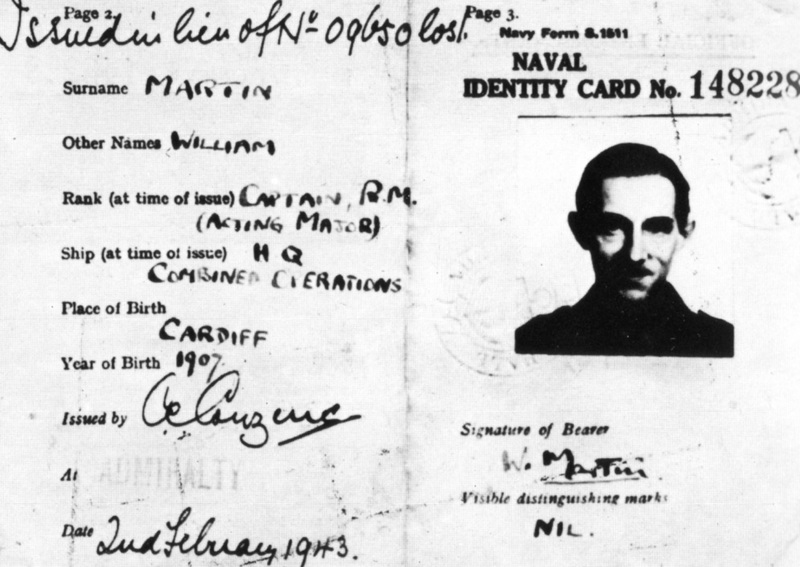 The man, code name Martin, was selected from deceased men who had died from pneumonia by Sir Bernard Spillsbury, the Home Office pathologist. The corpse was packed in the container of dry ice to preserve it until required. Charles was also asked to provide a valve and vacuum pump as well as a 'Mae West' life jacket. 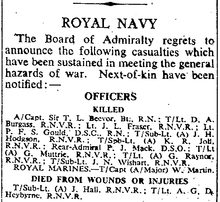 This was known as 'Operation Mincemeat'. Interestingly, during these times with the threat of an invasion by the German army and the on-going bombing of towns and cities, people were cautioned not to discuss aspects of their daily lives. Sir Bernard Spilsbury lived opposite Charles in Copthorne Road and was a fellow passenger catching the same train to London and neither man knew of the other’s role in this deception. Photographs that could be taken with a miniature camera. A fountain pen that could hide a compass. Steel shoelaces concealing a Gigli (a miniature saw). They could also act as a garrotte. Shaving brushes and, hairbrushes hiding useful objects in the handle such as maps printed on handkerchiefs and silk tissue. Smoking pipes and dominoes also carried maps within them. A miniature telescope disguised as a cigarette holder. Torches used for landing lights to assist small aircraft having to land in the countryside in occupied countries. Miniature radios concealed in small tins. Specially packed food for agents being dropped in occupied countries. Golf balls containing a secret compass. Rice paper with information printed on it so that it could easily be eaten and destroyed. Some of the gadgets were made in such a way that only the recipient would know how to access them. Hairbrushes for instance had a secret compartment in the stem. The secret compartment was revealed by turning the stem in the reverse way to normal. If you tried to unscrew normally it would just tighten up. Tightly rolled map and compass or camera film could also be hidden in the stem. The novelist Ian Fleming also worked in similar secret circumstances during the war and was aware of Charles Fraser-Smith and his accomplishments. When writing his novels after the war Ian Fleming created the character 'Q' who devised the gadgets for 007 in the James Bond stories and the character was modelled on Charles Fraser-Smith. During the First World War, British war ships were disguised to look like freighters and unarmed fishing trawlers. These were known as 'Q' ships and Charles Fraser- Smith called his gadgets 'Q' gadgets in which Ian Fleming copied into his novels. Throughout the war Charles and his family lived in Croxley Green and their son Brian soon had a sister named Christine. 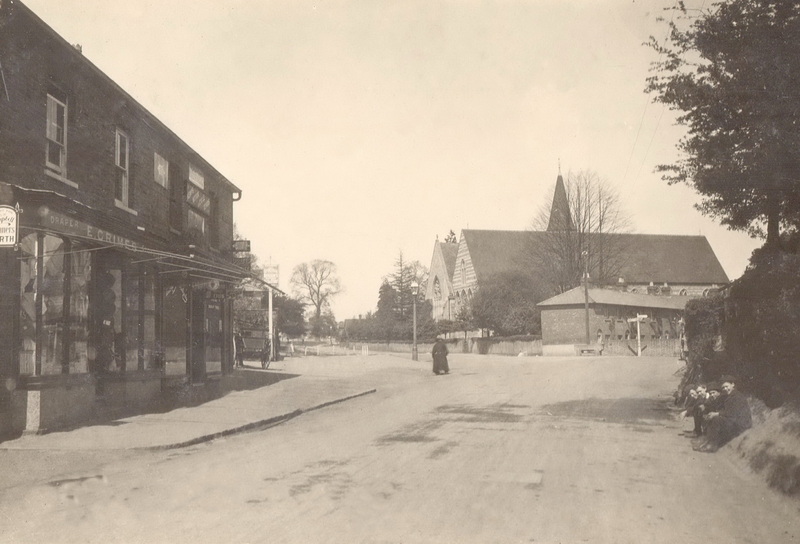 Sadly during their stay in the family home Uncle Frank passed away in December 1941 age 92yrs, a service was conducted at the Baptist Church Rickmansworth High Street. Aunt Edith died two years later. Once peace was declared Charles continued to work for the MOS but decided to re-start his career in farming and the family home was sold. He decided to settle in Aylescott Farm, Bratton Fleming, Devon, in the south west of England, and purchased a run down farm to set up dairy farming. He became well known in local and then countrywide farming circles, creating modern farming techniques, particularly in the milking parlour, that were to prove labour saving as well being more productive. His son Brian joined his father and continued with the responsibility of the farm when his mother became seriously ill. She passed away some three years later. Charles continued with his Brethren faith and missionary work and after meeting Selina Richardson remarried in 1966. In the 1970's, with the approval of the Ministry and clearance from the Official Secrets Act he wrote several books about his wartime experiences and his personal life before and after the war. He donated the royalties to charity, becoming involved in many including Save the Children Fund and UNICEF. Charles kept samples of many of his gadgets which were put on show in many exhibitions. He died in 1992 at his home on the edge of Exmoor. A fuller version about Charles Fraser-Smith can be found in the above books. This film, released in 1956, is based on a true event that occurred in 1943 during the Second World War. The conflict in Europe with Germany as well as with other countries around the world involved in the war had now escalated. The British Government was attempting to confuse the German High Command as to where and when it intended to invade and retake the countries, in Northern Europe and around the Mediterranean, that had been overrun by the German army. At this time it was still Germany's plan to invade Britain. © Newspaper report aiming to mislead. 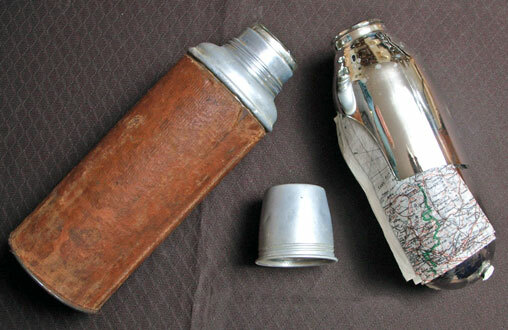 By 1943 Charles Fraser-Smith was sourcing items for use in espionage as well as creating gadgets to be used to disguise equipment for secret agents working against the German High Command. He received a telephone call from MI6 requesting him to source a water-tight metal container, a minimum of six feet in length and three feet wide. He was also asked to provide a valve and vacuum pump. When such requests came Charles was not always privy to the eventual use of the gadget, but on tentatively asking on this occasion, he was told it was for a 'floating weather station', even though a Mae West life jacket was also included in the request. Unknown to Charles, Lt. 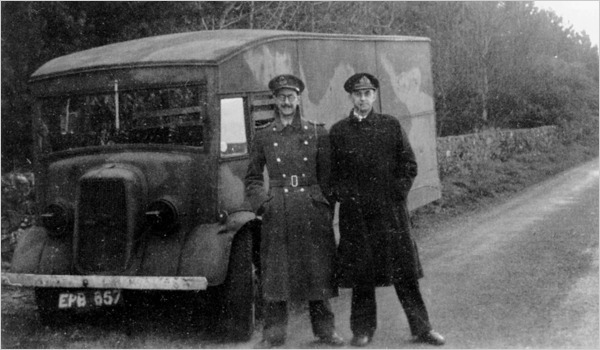 Commander Ewan Montagu had conceived a plan that required this container along with the items. Also unknown to Charles, Sir Bernard Spilsbury, a neighbour in Croxley Green, who usually travelled to London from the same local railway station, was also a fellow conspirator to the plan. A leading forensic scientist and a Home Office pathologist, Sir Bernard was tasked with selecting a corpse who would be code-named 'Martin'. 'Martin', chosen from recent victims of pneumonia, would be temporarily preserved in the container packed with dry ice. Eventually, disguised by wearing a British uniform and the Mae West life jacket, he was put into the sea off the coast of Spain. Placed on the body were detailed plans to invade Sardinia, which was then occupied by the German army. The body of 'Martin' would be found on the Spanish shores and the secret plans found on him would be relayed to Hitler. 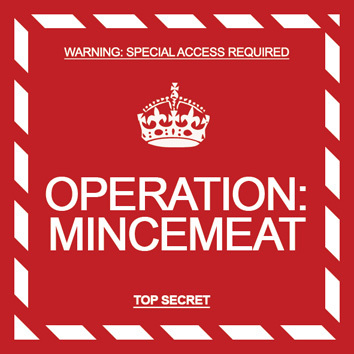 This plan was known as 'Operation Mincemeat'. This was in fact a ruse as the real invasion by the Allies was intended for Sicily and to regain Italy in due course. The plot was to convince the Germans that instead of attacking Sicily, the Allied armies would invade Greece. Thought up by an eccentric RAF officer and a Jewish barrister, the cunning hoax involved a notable cast of characters including Ian Fleming, author of the James Bond stories. Other roles included a famous forensic pathologist; a beautiful secret service secretary; a submarine captain; three novelists; an irascible admiral who loved fly-fishing; and a dead Welshman. Winston Churchill's team of spies working in a basement beneath Whitehall would bluff the Germans and Hitler. The two masterminds of the operation were Charles Cholmondeley and Ewan Montagu, two men with what Churchill called "corkscrew minds". Firstly, they obtained a dead body from a London coroner named Sir Bentley Purchase and set about creating an entirely new personality for the dead man, William Martin, a major in the Royal Marines. Using false identity cards, faked personal letters, receipts, bills, photographs and other "wallet litter", they gave William Martin a father, a fiancée and a feasible background. They chained to his wrist a briefcase containing official-looking documents, letters written from one general to another, which clearly indicated that the Allied armies massed in North Africa were aiming for Greece. These, too, were false. 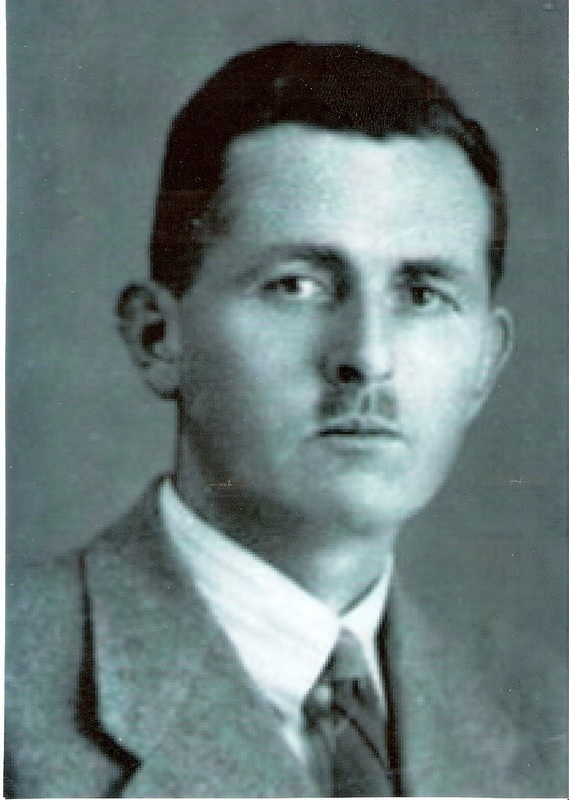 Montagu and Cholmondeley had a specific target in mind for their elaborate deception: Adolf Clauss, a German spy operating in the port of Huelva on Spain's south coast. He was known to be efficient, ruthless and extremely gullible. In April 1943, the body was dropped into the sea from a Royal Navy submarine and then floated towards the coast of Spain, where it was spotted by a sardine fisherman and the series of events was set in train. Operation Mincemeat was the most successful wartime deception ever attempted. It fooled Hitler and the Nazi espionage chiefs completely: German troops were deployed to the wrong place; thousands of British, Canadian and American lives were saved; Mussolini was deposed; and the course of World War Two was changed.